Book Review: 'Sky Without Stars,' By Jessica Brody And Joanne Rendell Jessica Brody and Joanne Rendell's new novel recasts Les Miserables on a distant — yet French-inflected — planet where a powerful Regime keeps the populace split and oppressed. At the high school theater auditions of my youth, 29 out of 30 girls were guaranteed to stand up on the stage and warble "On my owwwwwwn, pretending he's beside me." What teenage girl doesn't identify with Éponine, the girl who does all the work and has all the brains but is overlooked by her crush because he only has eyes for the gorgeous bimbo who can sing the high notes? I'm not sure if today's teenagers are inclined to obsess over Les Mis the musical the way that my generation did, but I do know that bittersweet love triangles are timeless. So pitching Sky Without Stars as "Les Mis in space" is kind of brilliant. The story begins far, far away in the System Divine, where those who survived the fall of the First World found a home on twelve planets lit by three suns. There we meet three characters from different walks of life whose destinies will become fatefully entwined. Chatine, is a clever thief who roves the rough thoroughfares of the Frets trying to scrabble together enough money to buy her way off of Planet Laterre and start a better life away from the Regime that treats her like dirt. Marcellus is an agent of that very Regime, the grandson of Laterre's most powerful general. He's destined to take his grandfather's place and enforce the Regime's rigid social order. And lastly, there's Alouette, who has spent her life hidden underground among a secret sisterhood tasked with protecting the last remnants of written language, forgotten by society at large. Chatine's hopes of escape are dashed when she finds out that the price of a ticket away from Laterre has gone steeply up. The only chance she has of making up the difference is to take on an assignment from the very people she's spent her life running away from. When Marcellus is ordered to go the rough part of town to claim the corpse of his estranged terrorist father, he discovers that he left him a traitorous message. In the morgue he also meets Chatine and turns down a dangerous path as his eyes are opened to the injustices perpetrated by the Regime. Marcellus' misadventures leave him bleeding in a forgotten corner of the Frets — forgotten by all but Alouette, who spots him while stealing a glimpse of the forbidden world above. She knows she has to help him, even if it means breaking all the rules. But once she climbs up to the surface, she opens up a whole world of questions that no one will answer. If she wants to know the truth, she'll have to find it for herself. This summary is by necessity only scratching the surface — Sky Without Stars, like Les Misérables, is a massive tome, full of twists and turns and a thousand agonies that propel its characters to their inevitable fates. It's a story about injustice and the breaking point where people find they can no longer bend. It's also a hesitant love story, as three characters begin to care about each other in ways that they themselves have trouble admitting. The worldbuilding is fun, with lots of clever names for things, many of them in French, the language of Laterre's founding family. I do wish we understood a little more of the science of the world — how the slow revolutions of the suns works, what was on the planet before, are there any native plants and animals — but perhaps more of that will come in the sequels. La Revolution Lite is on tap here, and it's frothy, perhaps quenching the thirst for social justice without actually doing any hydrating. Science fiction and fantasy novels are frequently filled with worlds where the rich profit off the backs of the poor and rebellion brews hot. And it's no wonder — for the inequity and cruelty that prompted Victor Hugo to pen a tale about the youth of Paris rising up against the ruling class is just as relevant to today's front page, where we see teenagers marching for the climate change action and gun reform that our own ruling class refuse to act upon. But sometimes when modern YA genre novels take on these themes, they skim across the surface, mouthing the language of revolution without showing the teeth that today's teens have had to bare for themselves. I wish that Sky Without Stars had a bit more bite. 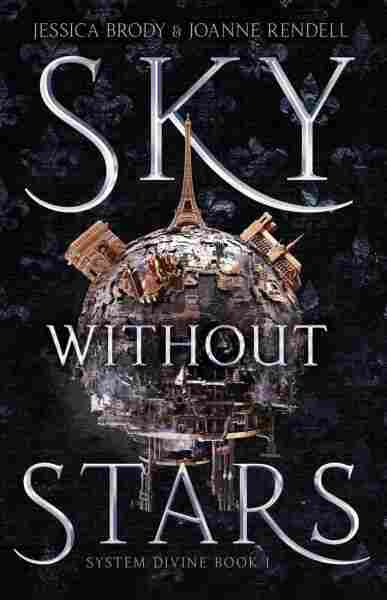 For despite its physical heft, Sky Without Stars is a fairly brisk read. It zips along from one plot twist to the next, drawing inspiration from Les Mis without being married to its characters, story, or true depth. La Revolution Lite is on tap here, and it's frothy, perhaps quenching the thirst for social justice without actually doing any hydrating. Those seeking substance may be left unsatisfied, but readers looking for inventive entertainment will find themselves well quaffed.